Gambell K-12 School – This design-build project called for an addition of 32,000 sq. ft. to the existing 11,000 sq. ft. high school. Extreme weather conditions, the worst Alaska has to offer, required an innovative approach to a fast-track enclosure of the structure. NCI accomplished this by combining a structural steel main frame system with an insulated panel system. The final completion of the project occurred six months ahead of schedule. Wales School Replacement – This was a fast-track design-build reconstruction of a Bush school. 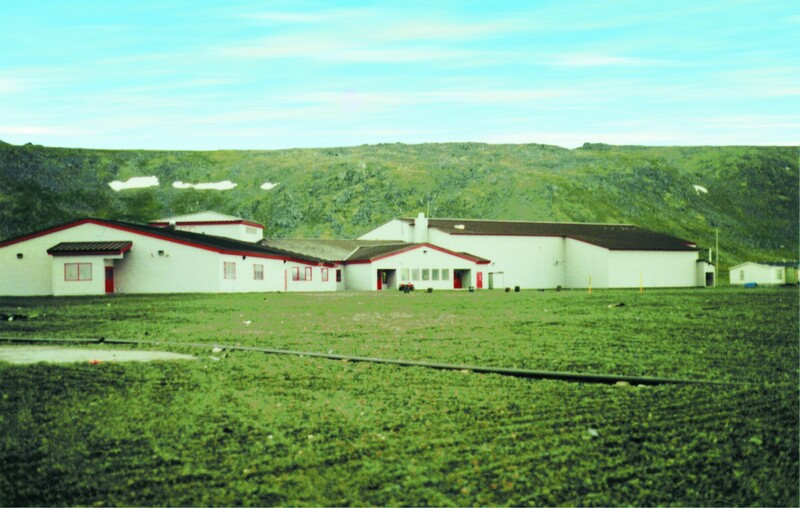 The original school completely burned to the ground on January 25, 1996, and the Bering Strait School District contracted NCI to build its replacement. The result was an 18,000 sq. ft. building constructed of steel moment framing on a refrigerated piling foundation. The skin is insulated sandwich panel, and the interior includes the complete facilities necessary to house a K-12 school. Stebbins School Replacement – NCI agreed to a design-build contract to replace the original Stebbins School, which had burned down. The pile foundation system for this 40,000 sq. ft. facility was mobilized and installed on the West Coast of Alaska, in the dead of winter and under the most extreme conditions. Still, the foundation was placed a full two months before design drawings were completed. Close coordination with the designers and total dedication to detail enabled this effort to proceed without error. Unalakleet School Addition/Remodel – This design-build project consisted of attaching 10,500 sq. ft. of new construction to the existing BIA school in Unalakleet, Alaska. The addition is composed of an entirely wooden frame, with cedar siding on spread footings, and a wood foundation. The project also included the remodel and upgrade of the existing school’s mechanical and roof system.